Surrounded by views of the Coromandel Ranges, the twin peaks of Mount Paku, and the Pacific Ocean, Tairua is both scenic and stunning. Climb a volcanic peak, kayak around the harbour, surf at the beach, or explore the surrounding forest- there is so much to do in Tairua! Tairua's harbour offers sheltered waters for swimming and watersports. The ocean beach is ideal for body boarding, surfing and beach fishing (or for simply relaxing with the family!). There are several interesting walks around the Tairua Area, including Mt. Paku, bush walks, and the short Twin Kauri Walk. 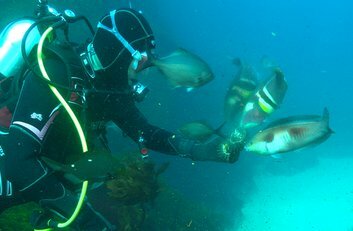 The offshore islands of Slipper, Shoe and the Aldermen Islands can also be explored by booking a trip with local dive and fishing charters. The new Marina offers safe boat mooring, and the town centre is loaded with great restaurants and shops. Pauanui is only a short ferry ride across the harbour and offers a whole range of activities as well. 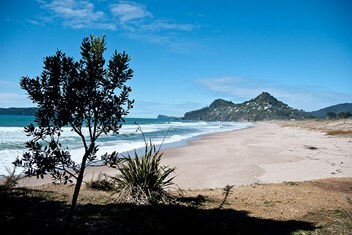 Tairua is a picturesque holiday town that has it all! Live the Dream in Tairua! Want to experience all Tairua has to offer? We can help you accomplish your dream of owning a home in this stunning seaside community. Talk to our friendly, experienced team today!